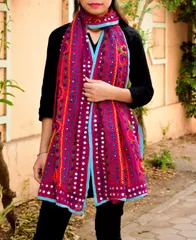 This stunning chanderi cotton silk phulkari stole is hand-embroidered with wool in the champa work pattern, with little flat sequins stitched in at intervals. 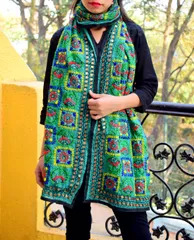 A great accessory for any look, any dress. 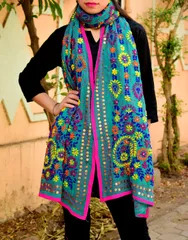 Length: 2.35 mtr, Width: 20 in. 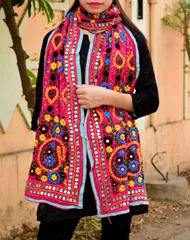 Phulkari literally means floral (Phul) work (Kari). 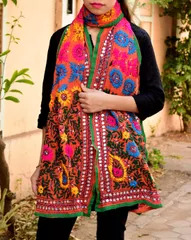 Phulkari is an ancient craft of Punjab and artisans employing this craft are quite sought after . 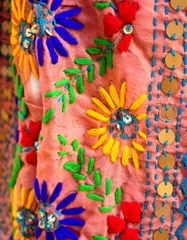 Phulkari comes in all shapes and sizes. 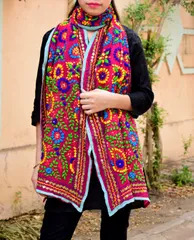 You will come across beautiful Phulkari motifs on shawls, headscarves and 'odhanis' or 'dupatta', which are ideal for daily utility. 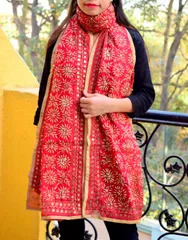 Phulkari dupattas and sarees were traditionally gifted as a wedding gift to the bride, but now apart from bridal wear, it is extremly popular as traditional party wear. 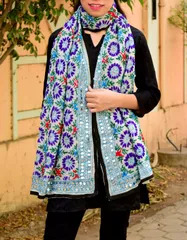 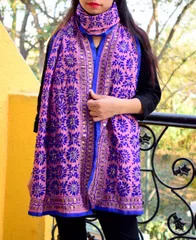 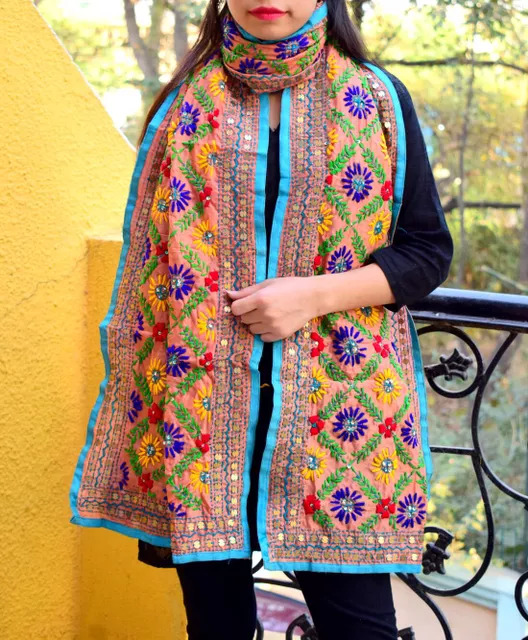 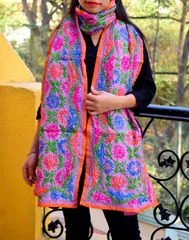 Phulkari stoles can even be work with western dresses as a scarf. 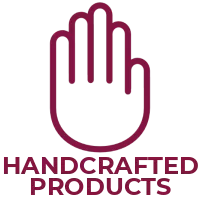 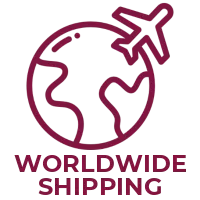 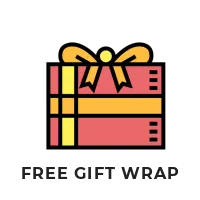 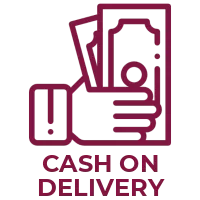 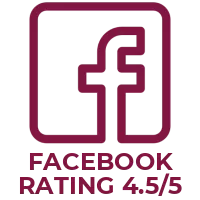 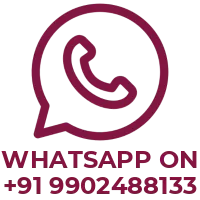 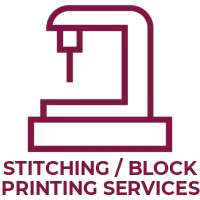 Enjoy this amazing craft of India with GiftPiper.